The gullwing Ford Evos concept, star of the Frankfurt motor show in 2011, will be making an appearance at the Salon Privé concours oon 4-6 September.The car which will feature as part of a new Concepts & Prototypes Display on the lawns of Syon House. 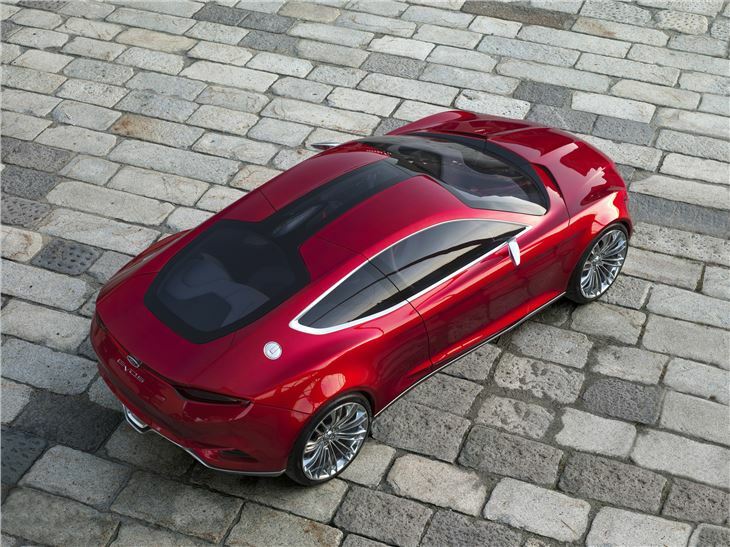 The Ford Evos Concept was heralded as the rebirth of the Capri at the show, although there weren't too many shared design cues. 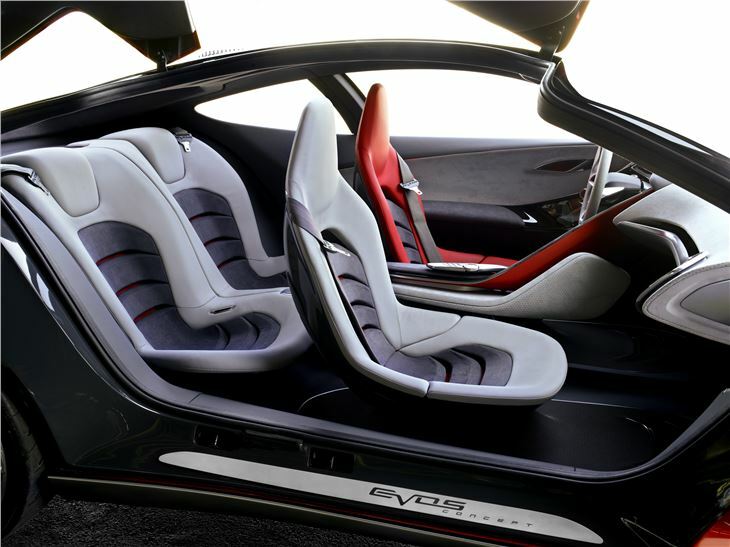 As a 21st century concept, what the Evos was very successful at showcasing Ford’s global design language as well as showcase a number of important new driver and control aids. 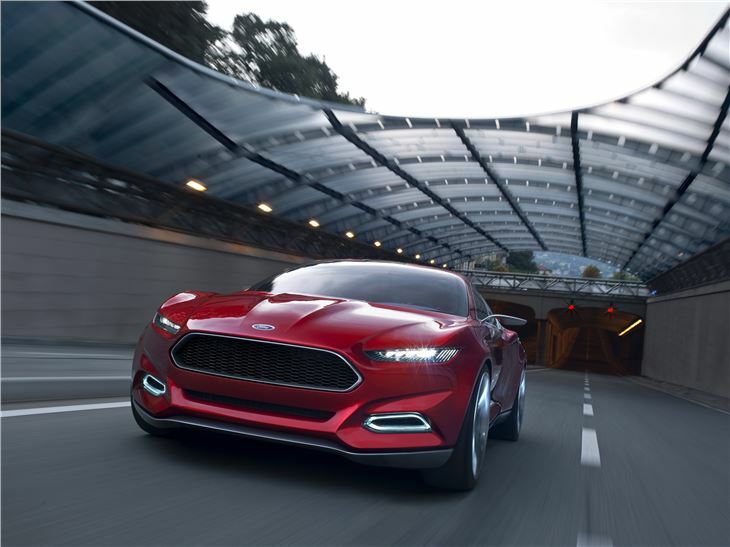 It’s a four-door, four-seat fastback concept with state-of-the-art lithium-ion plug-in hybrid technology. 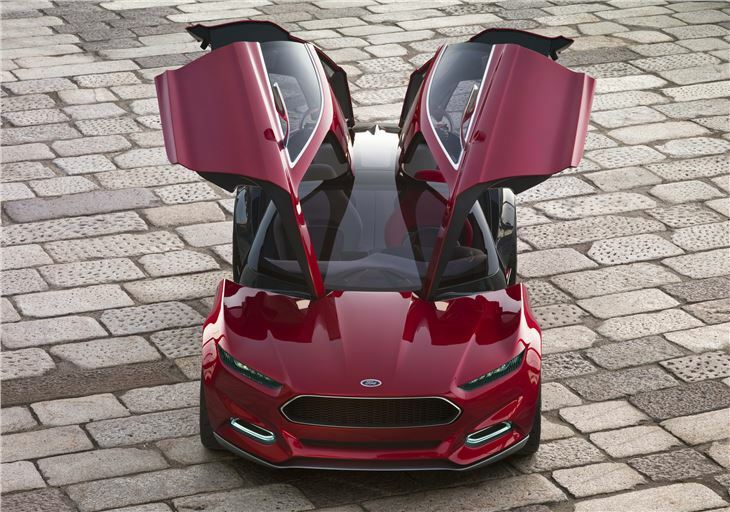 The concept's hinged gullwing-style doors, both front and rear, providing access to the spacious four-seat cabin. 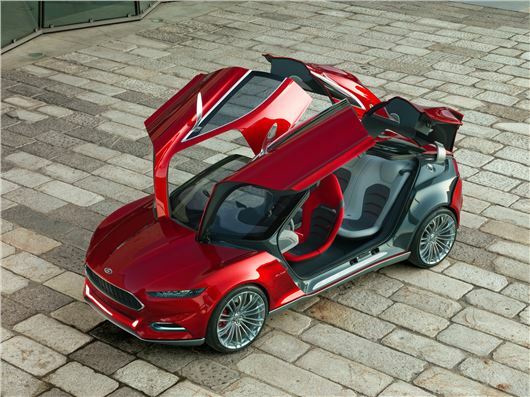 Technology is a key feature of the Ford Evos Concept and continues within the concepts interior which features a ‘personal cloud’ offering seamless connectivity between car and driver.